There's always news happening somewhere in the world and recently there have been some big stories like the Paris and San Bernardino shootings and explosives. Many of us have likely been glued to the TV and watching in horror as these events unfolded. 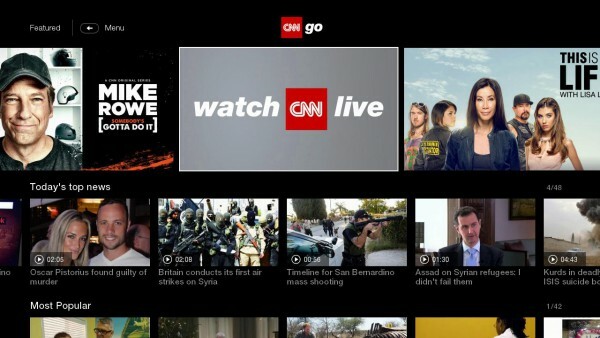 Now the CNNgo channel is launching on Roku and will bring you all of the latest stories from around the world. Users will be able to browse hundreds of news clips, but this isn't live TV, just highlights -- unless you have a pay TV subscription. "Roku customers with a pay TV subscription can stream live CNN U.S television and on-demand feature programs including Anthony Bourdain’s Parts Unknown and Mike Rowe’s Somebody’s Gotta Do It as well as clips", Roku announces. There's more than just video clips, as well. Customers can view both past and future video segments, and also delve into photo galleries. The app is available in the channel store under News and Weather. You will need to be in the US, though. Apologies to overseas readers.